"Being born blind, there was nothing for me to get used to about blindness, because it was there from the start. I didn't know, and still don't, what having sight is like, but from earliest childhood I've also been aware that there isn't such a thing as a blind world. There's a sighted world to which all blind people have to adapt and adjust. In due course, as an adult, I eventually came to the conclusion that even if I were offered the chance of sight, I would refuse it, because it would be so shattering to see everything around me that I had only known as sounds up until that point. I'd have to go through a whole new process of education, because everything from reading or writing is entirely different. I'm used to hearing cars go by, not to seeing them flash in front of my eyes. There are things I'd love to be able to do, such as to get up from a group of friends and say, "I'll see you guys later on," and mean exactly that. 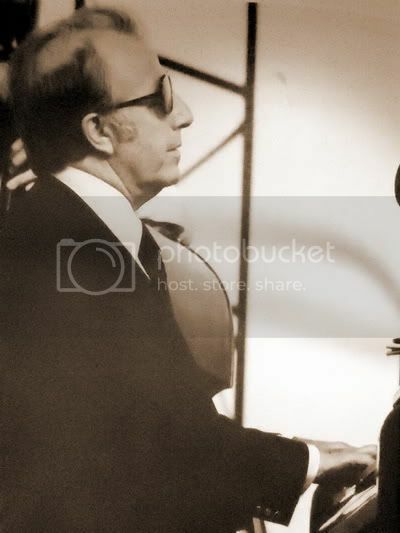 Londoner George Shearing (born in 1919) was blind from his birth, and was a pianist from early childhood. 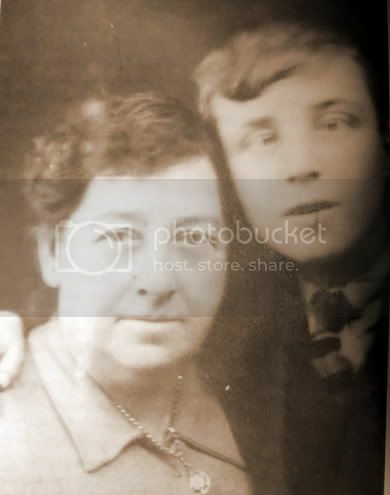 Coming from a poor family of nine, he attended Linden Lodge School for the Blind [photo on the right] during the early 1930s. His first paid work was at a South London pub, the Mason's Arms, then played in Claude Hampton's National Institute for the Blind Band (1937). Did first solo broadcast in February 1939. Resident at the Nut House, London, from summer of 1939. Briefly in South Wales, then gigged with Stephane Grappelli before playing solo residency at the Starlight Club, London (spring 1940). Joined St Regis Hotel Quintet which was subsequently led by Harry Parry (1940), also worked at Hatchett's Club, London, with Stephane Grappelli and Dennis Moonan. I never forget the story told by Grappelli about how George lead them to their hotel room, during blackouts of night bombings of London in war days. 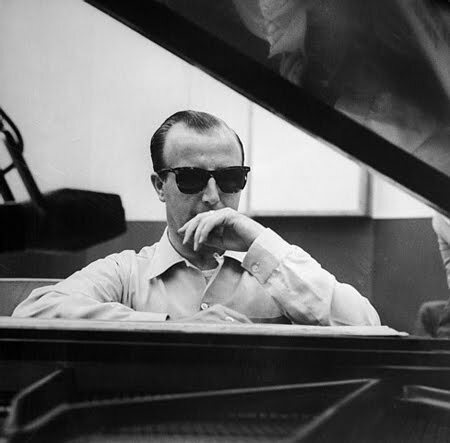 The idea of a blind man, guiding other fellow musicians among the fog and ruins is the to the world of George Shearing music. At this stage Shearing was under the influence of Art Tatum, Fats Waller and Teddy Wilson. Ralph Sharon). Joined Harry Hayes from July to November 1946, then visited the USA for four months. Returned to Britain, again toured with Stephane Grappelli (April 1947). 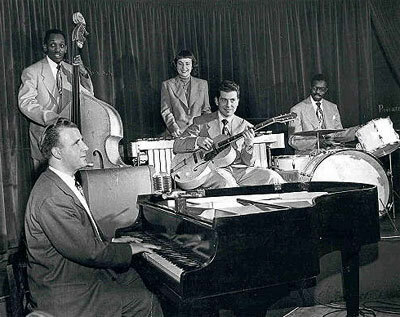 In 1949, Shearing formed a quintet with a suitably soft instrumentation: vibraphone, amplified guitar, piano, bass, and drums (usually restricted to brushes). His quintet arrangements included locked-hands voicings with the vibraphonist doubling the top note and the guitar doubling the bottom. This "Shearing sound" was extraordinarily successful; it is the sound by which many fans identify him even today. “What many people didn't know about George was his courage," remembers John Levy, his bassist and manager, in an interview with Marc Myers, "in 1949, this guy had formed an integrated group with two white guys, two black guys and a white woman on stage together. Today, this might seem like so what. But back then, you just didn't do that, especially in some cities. Many people told George that he’d do better if all of his were white. He didn’t know what they were talking about. He’d get pissed and say, 'I don’t know what color they are. All I know is that they play what I like to hear and I love their intonation.' Only a few people had the nerve to come up to him and say stuff like that." From this period Lullaby of Birdland and Conception became jazz standards. Even Miles Davis did his version of Conception, although Shearing recently complained that Miles got the bridge wrong! From 1970s, Shearing abandoned the quintet format, thereafter worked with own trio and in duos with various double bassists as well as being featured with large orchestras. He has recorded many albums with jazz singers, including Nancy Wilson, Mel Torme, Carmen McRae, Dakota Staton, Peggy Lee, and Nat Cole. "What Shearing was and is doing is popularizing modern jazz to a widespread success. I am not absolutely sure that musical popularizers are a reviewer's business. They do introduce large numbers of people to a musical style—at least so I am told. But for every listener who moves on, hundreds of others stay with the popularizer; one of the originators of modern jazz, Dizzy Gillespie, had a good audience before Shearing arrived, but Shearing has a larger audience than Gillespie has or probably ever will have. In any case, popularizers always appear and are always going to appear. However, there are popularizers and popularizers. One of Benny Goodman's functions was to spread a music that Fletcher Henderson had evolved several years before and do the same for some of Count Basic's pieces as well. Goodman contributed more than merely that, to be sure, but his treatment of Henderson's style involved no particular compromise or dilution. them from time to time to describe what he feels they are up to and to say how much compromise and dilution he hears in their work." "As a pianist, Shearing is able and fluent, although as a jazzman he has occasional problems with phrasing and swing. More important, he is capable of a lot more inventiveness than he usually offers. And it seems to me that his basic compromise is to play as if he were not really emotionally involved with what he is doing, even when he allows himself to do something musical." Well, isn't Basie that way? Looked untouched on the surface, but driving a group like the jet motor, in the moment of take off. 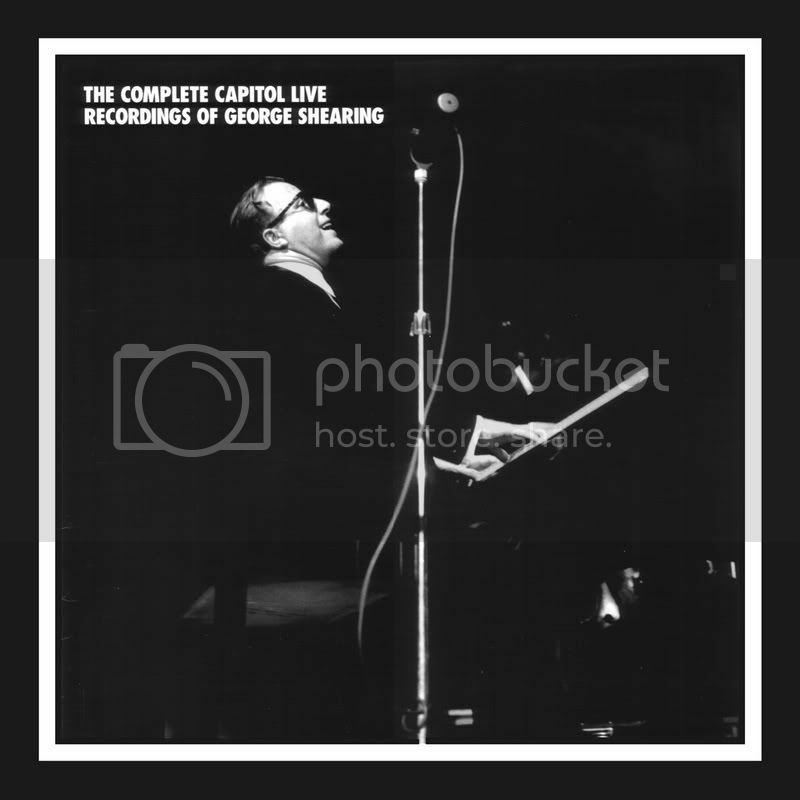 And finally, from Mosaic out-of-print boxed set, Complete Live Capitol Recordings of George Shearing, give a listen to The Nearness of You with Vibraphonist Emil Richards, guitarist Toots Thielemans, bassist Al McKibbon and drummer Percy Brice. Recorded at Hollywood Sunset Strip , 1959. It's a seminal tune that summarizes his grace, touch, swing and the way he visualized the world through sounds and tones. Who's who of British jazz /John Chilton.-2nd ed. 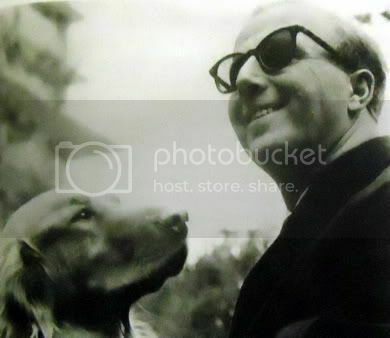 Lullaby of Birdland/ George Shearing (written in collaboration with Alyn Shipton)/ This autobiography was published in 2004.